Why? Because it was nothing but blades of grass. Close-cropped and bristly as a Marine’s haircut. Not a weed to be seen, not a leaf of clover, not a dandelion, not a plantain leaf. 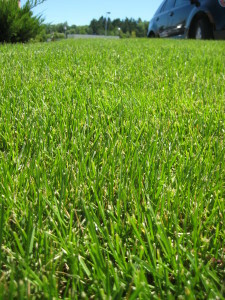 Nothing but grass. I realize there’s an argument to be made for the occasional use of pesticides. We need to grow crops to feed hungry people. We need to battle invasive species. 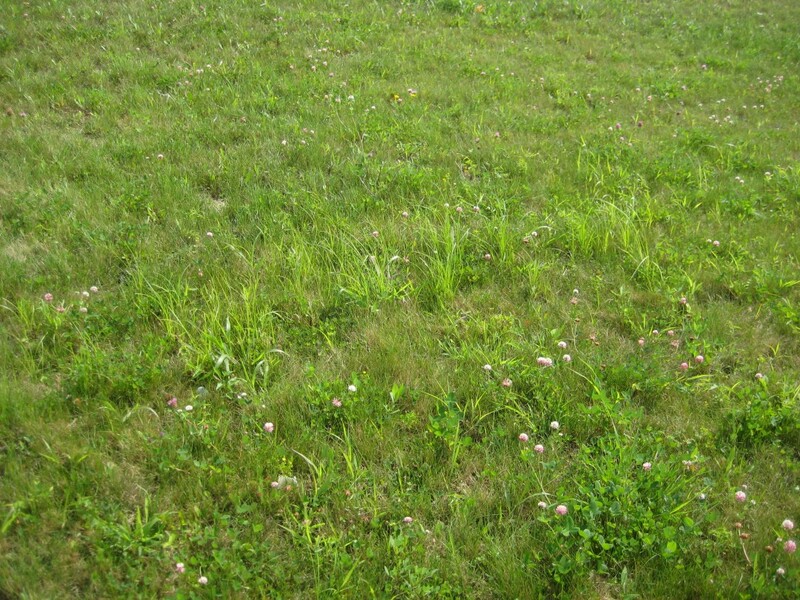 But how desperately do we need to eradicate clover from our yards, ballfields, and parks? 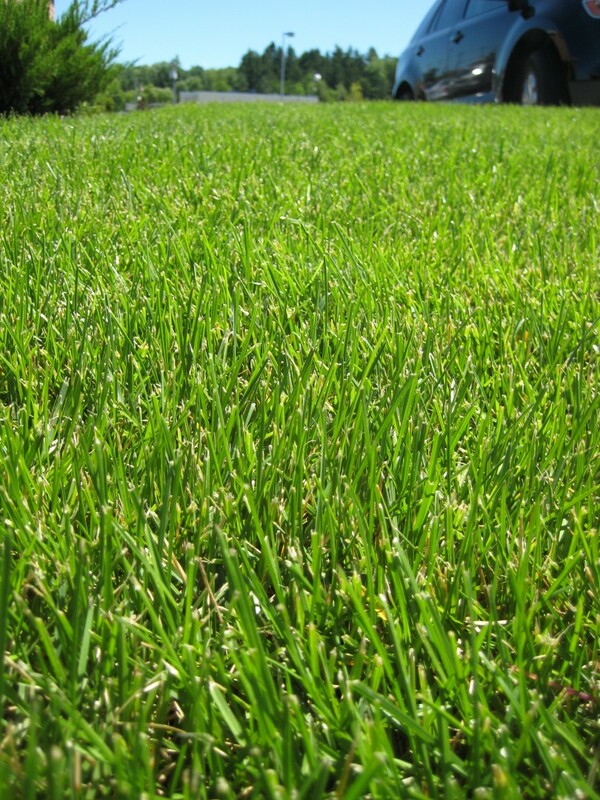 Lawn treated with pesticide vs. plain old grass, clover, and dandelions? I know which one my baby’s going to sit on. You’re singing our tune! I’m writing to introduce you to Waltham, MA-based Meadowscaping for Biodiversity (MS4B-www.meadowmaking.org). We offer outdoor, project-based, environmental enrichment programs that immerse youth in nature and empower them to make a positive contributions to the environment and their futures. Youth (7 – 19) learn about biodiversity, wildlife habitat, ecosystem gardening, etc. while they transform turf lawns into meadows (or gardens) filled with native plants, shrubs and grasses. When we and our youth approach property owners, we face status quo resistance and willful ignorance about the harm these -cides are doing in and to nature! We gently explain the role native perennials play in supporting the food chain and try to persuade people that their gardens can be both beautiful and functional and that all citizens can do their part to help the environment in their own backyards by replacing resource-intensive, toxically created gardens (and all the bad practices t), with affordable, pollinator- (and wildlife) friendly, perennial native plants. If it sounds like we are channelling Doug Tallamy, Rachel Carson, Pope Francis…and we are using your books to support the learning of our younger students, we are! I love “Karl, Get out of the Garden!…” and look forward to reading the others. How interesting, your organization sounds wonderful. We need more educators like you! What a fabulous idea, to get kids involved in turning lawns (ecological deserts) into meadows. Thanks for getting in touch.